One of the greatest fears for parents is an unexpected accident when their teenage child is behind the wheel. Each year, the days between Memorial Day and Labor Day are the deadliest 100 days for teen drivers and their passengers, according to the American Automobile Association (AAA). To minimize this risk, parents should learn the facts and teach their children how to drive safely. Sarah Robinson — engineer, Michelin test-track driver and one of the few female test drivers— teaches teens safe-driving skills. She also offers parents tips on maintaining a safe vehicle and how to effectively teach their young drivers about safety. Situational awareness: To keep yourself out of danger, nothing is more effective than being aware of your surroundings. Vision: Train your eyes to anticipate danger, focus as far ahead as you can see and use your peripheral vision to observe your immediate surroundings. Stay focused: Distractions can result in fatal accidents. Parents should set rules limiting the number of passengers riding with a teenage driver. Using a cell phone, text messaging, changing the radio station or iPod tunes, or applying makeup should never be done while driving. Speed and distance: Obey the speed limit, adjust your vehicle’s speed to match weather conditions and maintain a proper distance from the vehicle ahead of you. Defensive-driving class: Practice is the best defense against accidents. A third-party instructor often can influence teens more effectively than the limitations of the typical parent–teen dynamic. Instructors are trained to teach teens car-control skills so they can avoid or minimize accidents. Seating position: Proper seating position maximizes your ability to control your vehicle. Sarah provides tips to ensure drivers are positioned with arms the proper distance from the steering wheel and legs from the brake and gas pedals. Set mirrors properly: Side mirrors can help maximize the view of the road, rather than reflecting the side of the car. Steering position: For optimal control, hands should be placed at the three-o’clock and nine-o’clock positions on the steering wheel. Tire pressure: Parents should teach their teenage drivers to check the pressure of all four tires once a month. According to the National Highway Traffic Safety Administration, 33,000 injuries and 700 deaths occur every year due to underinflated tires. Safety equipment: Prepare the vehicle with the necessary safety equipment and an emergency kit. Cars equipped with stability-control systems, antilock-braking system and airbags help reduce accidents as well as the severity of injuries if an accident occurs. Parents’ role: Parents can play a significant role in teaching their teenage drivers basic safety. First, they should be a good role model to their children when they are in the driver's seat. Next, they should establish safe-driving rules and enforce them. They also should enroll young drivers in defensive-driving courses. Finally, parents should explain the responsibilities and dangers of handling a 3,000-plus-pound vehicle. 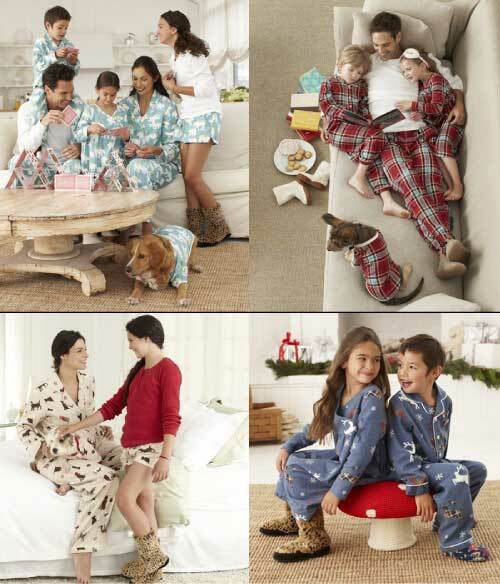 Join Us for The Company Store’s National Family Pajama Night ~ One Night, Many Memories!